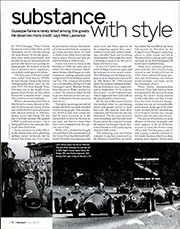 While reading the many letters received from MOTOR SPORT readers about their choice of 'Three Memorable Moments' in motor racing, and letters on the subject are still arriving, I became aware that some of them were quoting memorable instances they had seen on the television screen, in films or on a video cassette. I realise we can't all be in the right place at the right time. Indeed, not many of us can actually be at a motor race in the flesh, so to speak. I think it is unlikely that many readers discover the racing car for the first time by switching on the TV, so I instigated another Reader Help Line (in reverse, in effect) by asking when you first saw, heard, smelt or received vibrations from a racing car in action. The response has been very interesting, and very widespread. 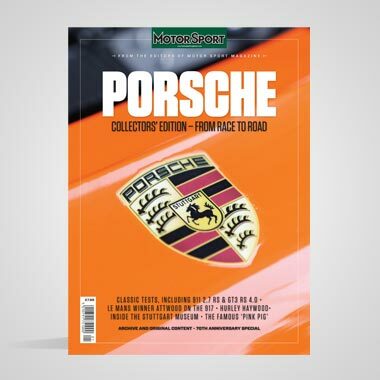 Once again, it illustrates that the readers of MOTOR SPORT range from under eight years of age to over 80. 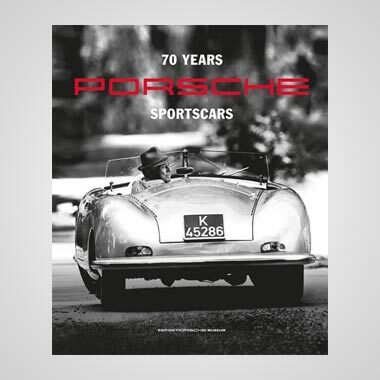 Bill Boddy, who was the magazine's editor for longer than most people care to remember, passed his 80th birthday last month, and is still as enthusiastic about racing cars as he was 65 years ago. It was in 1927 that his mother took him to Brooklands and he saw his first racing car in action. My own 'real time' involvement started 10 years later. 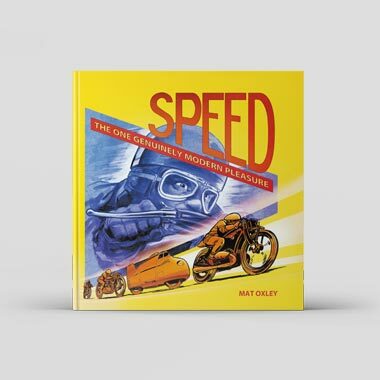 To start this new series I will quote the experience of a reader in the 'new era' of racing of the late 1940s, after the sport had got back on its feet following six years of war. 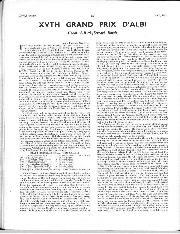 Officially, motor racing had been banned from September 1939 until the middle of 1945. Grand Prix racing had accepted the title of Formula One, but the World Drivers' Championship had yet to be dreamed up. 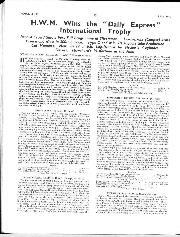 The occasion was the Daily Express International Trophy meeting, organised by the BRDC in 1949 at Silverstone. The big event of the day was for Grand Prix cars, dividing the large entry into two heats, each of 20 laps, with a 30-lap final for 30 cars. Our reader, Mr John Greenwood of Rufford, Lancashire writes: "We arrived at Stowe Corner just in time for the second heat and we could hear a racing car approaching on a warm-up lap going round to the start. Through my binoculars I saw a small red car rounding Chapel Curve and heading towards us. It was number 30 which my programme told me was Giuseppe Farina, and the car was a 4CLT/48 'San Remo' Maserati. Although the speed at which he entered Stowe Corner seemed quite incredible, he remained completely relaxed, sitting back in his wellknown straight-arm posture. On the apex of the corner he gave the steering wheel two or three quick twitches and went away down to Club Corner in a shattering blare of sound. I turned to my neighbours and said 'Oh boy!' and that was Farina on his way round to the start." 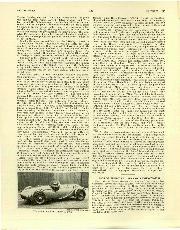 Dr Farina won that heat, but in the final had to bow to the superiority of Alberto Ascari's V12 Ferrari, and finish second, with Villoresi third in another Ferrari. Farina in those days was at the peak of his form and drove the 4CLT/48 Maserati faster than it was really capable of going, illustrating the mastery of man over machine, with elegance and style. After that sight and sound Mr.Greenwood was 'bitten by the bug' and is still an avid MOTOR SPORT reader today. 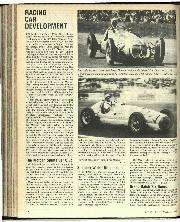 No doubt there are other readers who were at Silverstone in 1949. Among the drivers taking part in the supporting races was a woolly-haired young man approaching his 20th birthday, who was watching Farina's driving style and decided he would try to drive in a similar manner. His name was Stirling Moss. Many readers cannot specifically name their first sighting of a racing car in action, but they can identify the meeting and it seems that at that first race meeting one particular car stands out in their memory above everything else. But no matter, an initial impression of one particular racing car among an entry of two or three dozen is equally valid. Invariably it is this first impression that sparked off the enthusiasm for motor racing. Once lured, such passion remains for a very long time. 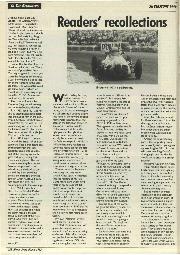 In subsequent issues of MOTOR SPORT, I will be recounting a variety of first impressions. They all send out the same message, in any country and in any language. Motor racing and exciting cars are a way of life with which we are all happy to be associated.